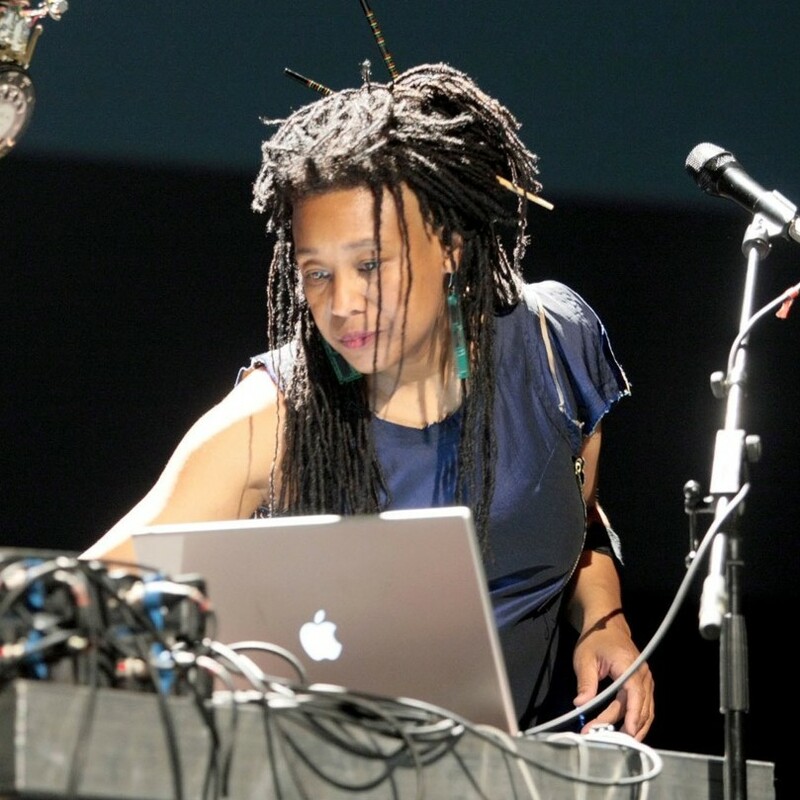 Composer/performer Pamela Z will give a concert of short works for voice, live electronics, and video including excerpts from her recent large-scale work Baggage Allowance. The evening will focus on the voice engaging with technology. Ms. Z will process and sample her live voice in real time, trigger vocal samples via a MIDI gesture controller, and use her singing and speaking voice to manipulate interactive video projections. The human voice (her own and the sampled speaking voices of others) continues to be Z’s primary sound source in the making of her work. She considers the combination of voice and electronic processing to be her chief instrument.